Last week the Planning Inspector’s Hearing on the fate of the bunker took place. Hastings Borough Council (HBC) had issued an Enforcement Notice against the Country Park eyesore. The Planning Appeal for the Bunker was held over two days, 21 and 22 April. The Hearing was conducted quite formally, unfortunately with bad acoustics and bad microphones. Barristers represented HBC and Rocklands, with expert witnesses and others in attendance. The Inspector commented on instances of ‘bad practice’, but gave nothing away about his thinking on the case. The Planning Inspector presided over a very fair and inclusive process. Andrew Palmer (HBC Head of Planning) had advised SEG that we would not be allowed to speak, but in fact the Inspector invited us to sit at the table with the members of both teams and to contribute on each and every point in the Agenda. The Inspector also took comments from the floor. Fortunately for all, despite Mr Palmer’s advice, SEG attended fully prepared, which enabled us to fill in the gaps for the Council’s team and the Inspector has accepted a good deal of documentary evidence from us that was previously rejected by Mrs Barkshire-Jones (HBC Chief Legal Officer), disputed by Mrs Bahcheli (HBC Planning Consultant and author of the Procedural Review of Rocklands) and – most shocking of all – crucial evidence held by the Council that was not given to their barrister or even referred to. HBC and Rocklands were in agreement that no trees had been removed on the Rocklands site. Mrs Bahcheli continued at the hearing to deny that any trees had been felled at Rocklands, apart from those taken down by the landslip. We were able to refute this claim and present evidence to the Inspector of tree removals across the site. Mrs Barkshire-Jones has consistently rejected our detailed document using world-class tree mapping data that details all the trees lost at Rocklands. The Inspector has accepted this document as evidence. SEG showed the Inspector photographs taken from the East Hill of the dense screening which hid the original single-storey building from view. Rocklands and the Council’s team both disputed the veracity of these photographs, until it was pointed out that these were images submitted by Rocklands to HBC in support of their planning application 952 and in fact are held at the Council’s Planning Department offices. During the site visit, we were able to point out some six or seven stumps around the bunker – further evidence that trees have been removed. The Inspector took many photographs of large tree stumps in the ground close to the contentious building. SEG were shocked to learn that HBC and Rocklands reached a last-minute agreement on land stability. The land the appeal building is built on is now considered stable by both parties. The unknown stability of the land was one of the reasons for refusal of planning application HS/FA/15/1036. This agreement was reached on the evening of the first day of the hearing and submitted to the hearing the next morning in the form of a handwritten note. This was done on the basis of a brief site visit by the Rocklands’ consultant and the HBC consultant from Coffey. This last-minute agreement undermined one of the reasons for the refusal of the planning application HS/FA/15/1036 and subsequent enforcement action. The new agreement flies in the face of all the arguments made by HBC’s Coffey consultant prior to the appeal hearing. Given the lack of notice, the technical nature of the subject matter and surprise at the sudden change of position by HBC, campaigners were unable to make any informed comments in the little time remaining of the hearing. None of the physical tests recommended in the original Coffey statements have been carried out. The existence of the sandstone bed remains entirely speculative. There is no additional evidence or information backed up by physical tests. Everything stated on the handwritten agreement appears to be speculative. Establish whether the sandstone bed (if it does exist) would protect the building against landslips. Establish the water table levels. Establish the nature of the beds underlying the inferred sandstone bed and the probabilities of these underlying layers being stable. SEG do not understand how or why Coffey have reversed their position. HBC now agree with Rocklands that the land under the appeal building is stable. SEG believe that the reservations expressed in the earlier Coffey statement to the appeal and the need for further physical testing of the site remains valid. SEG maintain that the position remains unchanged since the Coffey appeal statement was written and that the physical stability of the site remains unknown. For some it was surprising that the Rocklands’ barrister offered no explanation of what had happened at Rocklands. His reference to ‘minutiae’ was particularly objectionable, given the failure to account for the many discrepancies between what had planning permission and what was built. His mention of ‘good faith’ was similarly provocative — because there was no conciliatory element in the Rocklands position. If incompetence was not involved here, what was? A breach of height was defended as only 500 mm rather than the suggested 600 mm, but that is the difference without the distinction. Later there was an ironic interlude, when the Rocklands representatives grew concerned about the prospect of a few local residents accompanying the Inspector on his site visit. They needed permission, it was explained. The Inspector’s decision should be available in a couple of months. Should the Inspector refuse the appeal then the Bunker will be demolished. The Inspector could also uphold the appeal, which would then result in the Bunker staying with or without modifications and subject to planning conditions. The Inspector’s decision – and the basis for it – is keenly awaited. The Rocklands affair is about far more than the Bunker. Issues are complicated. A brief summary of the current situation follows. The Latest Tree Application. Despite large numbers of objections, this has been decided behind closed doors under delegated authority. SEG believes that HBC has breached its own constitution in doing so. A draft decision has been made and we expect the full decision to be available very soon. Should this application be approved, then screening will be further reduced. The removal and cutting of trees could also have further impact on slope stability. The new development control manager, Mrs Eleanor Evans, refuses to allow this application to be taken to the planning committee despite many similar tree applications having been considered by the planning committee in the last few years. The tree application is deeply flawed and yet the HBC tree officer, Mr Chris Wilken, approves the works. The Landslip. The landslip has progressed very fast over the winter. The Glen remains closed. HBC still refuses to investigate the cause or to take remedial action. In doing so it ignores the recommendations of its own geotechnical engineers. HBC still claims that the landslip is entirely natural and that works by Rocklands are not a factor. This view has been repeated by Labour Party canvassers campaigning for the May elections. HBC refuses to allow the latest reports on geotechnics and drainage to be released into the public domain. HBC is not monitoring the progress of the landslip. SEG fears that should nothing be done, then the unauthorised sewage system could be breached. Tree Removals. HBC stated at the appeal that no trees have been removed. It refuses to consider new evidence and sticks to the claim that most, if not all, trees that have gone were removed by the landslip. Despite large amounts of evidence that disprove this, HBC sticks to its own version of events. The HBC Head of Legal Mrs Berkshire-Jones also claims that insufficient evidence has been provided to prove tree removals. Our barrister’s opinion disagrees and states that HBC has set the bar for evidence far too high. A recent request, the third, for enforcement action due to new evidence being available has been refused by Mr Berrisford, the senior enforcement officer. 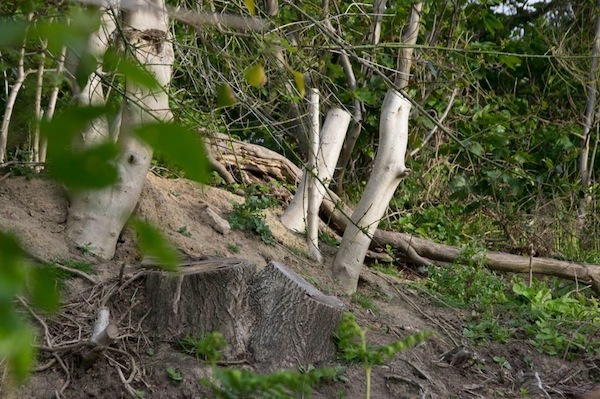 SEG spotted five or six tree stumps around the bunker when granted access to the site as part of the Appeal hearing. Unauthorised Works on the Lower Slopes. HBC refuses to take any enforcement action on any of the unauthorised works on the lower slopes. These include terracing, roads, car parks, sewage systems, lights and electrical systems. All these works were done without permission in an area that expressly forbade any such works. The Bahcheli report admits that no development is allowed on the lower slopes. Despite this HBC still refuse to take any action. SEG believes that these works and tree removals are a factor in the landslip. Public Footpaths. The footpaths from the East Hill remain closed. The closure period has just been extended by another six months. 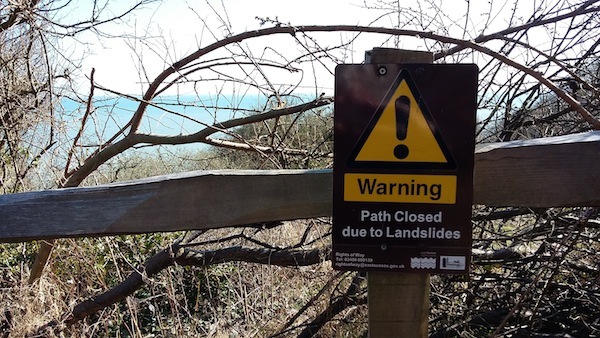 SEG believes that the footpaths cannot be reopened until the landslip has been investigated and remedial action taken. HBC refuses to undertake any investigations or take remedial action. Caravan Site Licence. Some 18 months have now passed and there is still no valid site licence. Caravan spacing issues remain unresolved. HBC ignores the recommendations of the independent RH Environment report into the caravan site and refuses to discuss any issues about the site licence. Mr Hepworth, the officer responsible, has stated that all spacing and density issues have been resolved and no longer answers any emails on the subject. SEG believes that there are still significant spacing and density issues. SEG’s requests for an independent survey by RH Environment were declined by Council Leader Chowney as were requests for a re-measurement supervised by Councillors. Cllr Chowney has expressed full confidence in his officers. SEG has strong evidence that some 20 caravans breach the rules on spacing and density and that others are in breach of planning conditions. HBC refuses any independent re-measurement and remains silent. Breaches of planning conditions were reported back in January – we still await the results of the investigation. Grotbusters. HBC has now refused three times to take Grotbuster action to force Rocklands to clear up the mess that exists on the lower slopes and in our Country Park. Detritus includes asbestos, roofing materials, car batteries and other materials. On previous visits the Grotbuster team have claimed that there is no waste material on the lower slopes. They now claim that the waste is not visible from a public space and therefore no action will be taken. The waste is visible from the Country Park. Replanting of Screening. HBC has refused to replant any trees on HBC land to help screen the site. HBC claims that any replanting of trees would have a detrimental impact on the visual quality of the site! 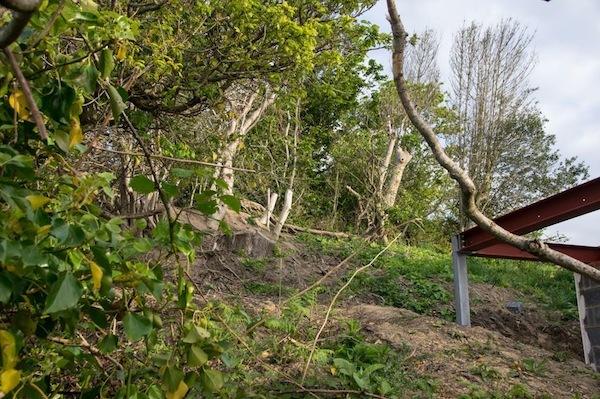 Murray Davidson, the HBC officer responsible for the Country Park, said, “Significant planting as requested would alter the landscape and therefore have an adverse impact upon the designated site.” You just can’t make this sort of stuff up. Solar Panels. Unauthorised solar panels were refused retrospective permission and Enforcement Action was taken. Rocklands simply removed them and then reinstalled them within weeks. SEG believes that this is a breach of Enforcement and HBC could take this to court. HBC has, as usual decided to let Rocklands get away with it. HBC claims, very unconvincingly, that the solar panels are being “stored”. I was able to confirm, whilst on site, that the panels are electrically connected and in use. Again, HBC has failed to enforce and has allowed Rocklands to do whatever they like. Indeed everything changed when Peter Chowney was elected Leader of this council. Jeremy Birch had scruples. Such a sad loss for this town…. I fear that HBC will do absolutely nothing about any of the issues mentioned in this article. Councillor Chowney has now revealed his true colours on Rocklands and Ecclesbourne Glen. 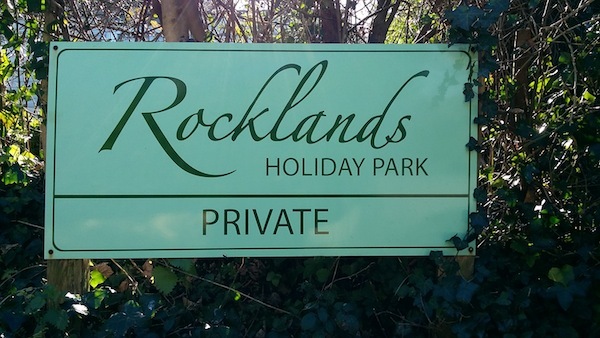 When asked whether he considered Rocklands controversial he replied “Not really,There are half a dozen people who bang on about it and are always sending emails. Back in 2014 SEG was considered a valued contributor to the process. We submitted detailed documents to the Bahcheli review and met regularly with HBC members and officers. Everything changed when Cllr Peter Chowney became leader of the council. We have not been able to meet with any HBC officers since June 2015. Since then all paths of communication have been closed down by HBC. HBC officers and Labour councillors are now simply refusing to answer our emails. SEG are now dismissed as vexatious when we make Freedom of Information requests. What a great piece. Admirably lucid and plots a course through the issues and evidential matters extraordinarily well. This “reform” was of course presented to us not as a money-saving cost (let alone for more sinister reasons connected with the encroaching prerogatives of government) but as something we all could and should do for ourselves in the name of inclusion in the whole judicial process. Including ourselves and losing, pour encourager les autres, no doubt. Abuse of process says, if not all of it, much of it. In fact I feel abuse of process might be Hastings’ new motto at present, sad though it is to say so. What with one rotten decision and another, taken or pending. Barristers cutting last-minute deals and bringing them to hearing – AND being permitted to do so. That’s an abuse of process and the officer of the court should be ashamed of him or herself. There is a Code of Conduct for the profession – I recall having to take a whole exam in it – and a re-read might be a good idea. The adversarial process exists to test the evidence, not for seasoned professionals to manipulate judicial process so that representing one’s client with vigour and integrity becomes a disgraceful exercise in the end justifying the means. And here it is again, with adversarial sleights-of-hand being used to bamboozle members of the public who have very limited resources – only their integrity, guts and good faith – and who the judiciary is supposed to protect in such circumstances. The public is not to be disadvantaged by legal expertise. That’s the rule, or was. Remember the McDonalds Two? I wonder how far they’d get now. And when a higher court has found the lower court has been playing fast and loose, it can issue various other orders, such as mandamus, = do this now [or don’t do this any more] and bloody well get on with it. Peter Chowney writes a plausibly reasoned article. But don’t take his word for it on such matters as officers acting within their discretion and these things being so subjective as – he seems to imply – open to infinite interpretation. The common law is there to establish by precedent what discretion means, and the court’s jurisdiction must not be ousted. Please excuse me if these are issues you’ve already considered, but it seems to me there’s a plethora of material here which should be reviewed by a higher court. It appears that the inspector has to make his decision on many grounds, some of which appear to be of exceedingly dubious merit, because they are incomplete, were improperly brought to his attention, or otherwise. It looks as if another principle of adversarial law has not been addressed, which is to hear the other side. Have you considered judicial review? A great article, it fully explains what has happened to date with the Rocklands affair. I must admit that the way in which events unfolded during the hearing were not that unexpected. I did not expect a great show defence of the Council’s position in respect of the removal of the ‘bunker’ after it was decided that it was not worth taking action against the reinstalled solar panels that are in breach of a planning refusal and an ‘Enforcement Notice’. If they cannot get the owners of the caravan park to remove unauthorised solar panels then how were they likely to push for the removal of a whole unauthorised building? The Council decided during the week of the appeal hearing that it would allow the owners of the caravan park to ‘store’ the solar panels within the amenity area of the caravan park until the decision on the holiday let building has been made – if the Inspector allowed the building to remain, with or without modifications, then the solar panels could be then be installed on to the roof of the holiday let building. The fact that permission to do this has already been refused did not seem to deter the Council officers. The solar panels are ‘stored’ fully connected to the main house and are in a designated amenity area that is part of the caravan park that was previously used as a picnic area for the use of caravanners and holiday makers. Much of the defence used for the building to remain was that even if the developers/owners of the caravan park had not deviated from their approved plans the building would still have been in full view from prominent viewpoints. The viewpoint from the East Hill is the same as it was prior to the buildings construction; no trees were harmed in the making of the building. The Council’s previous admittance of significant tree removal to accommodate the much bigger building disappeared into insignificance post the Bahcheli review, where she stated that she could see no evidence of tree removal around the building and that the owners of the caravan park had not attempted to deceive; it was their architect and their builders that were at fault. 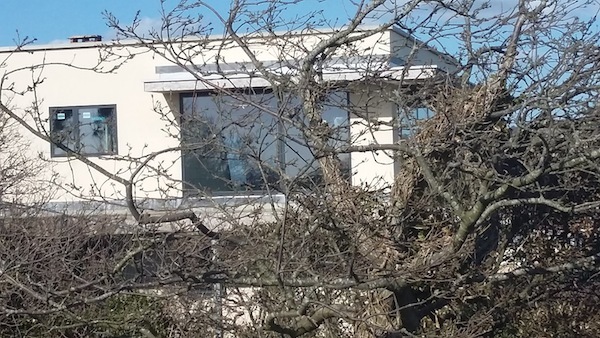 SEG’s evidence on tree removal, which has been accepted by the Inspector, was dismissed by the Councils’ legal team and Mrs Bahcheli as the evidence provided was insufficient to satisfy a ‘Court of Law’. The owners of the caravan park have recently applied to remove more trees from the caravan park. Significant ‘tree works’ are proposed and a mature tree, whose only crime is to be growing at a jaunty angle, is to be sacrificed to accommodate more solar panels. Even Rocklands geotechnical expert said that the tree is not subject to subsidence, which has been claimed. Tree stumps are to be removed from the ‘Scheduled Ancient Monument’ without prior consultation with ‘English Heritage’. Mrs Bahcheli’ s claims that no trees were removed within the vicinity of the ‘bunker’ were disproved during the site visit as attendees spotted six to seven large tree stumps. The owners of the caravan park tried to stop the ‘protestors’, as we were named, attending, and members were only allowed to attend if they did not mention the trees! ‘Don’t mention the trees!’ Reminds me of a Fault Tower sketch. Great article – clear and informative. But of course the major question remains – why is this council seemingly so determined to protect the proprietors of this caravan park? Why have they demonstrated obstruction to the campaigners efforts? What is the council so worried about here? There are so many instances where this private enterprise has flouted planning regulations – thank heavens there is a group of determined residents who are utterly committed to bring to account the partiality which appears to favour the perpetrators of these wrongdoings on this site. This is OUR Country Park – the council are custodians of this unique and special place. Why would they wish to support any actions which have caused so much damage to this area? And of course with a further application in the pipe line to fell even more trees we feel very uneasy with the recent decision by this council to hear this application via the Delegated process which basically means the officers will decide the outcome without public witness. Despite the fact that there are over 50 objections and a Petition with over 100 signatures. Now how on earth could such a sensitive and contentious issue be decided behind closed doors. Where is this transparency our Leader keeps talking about? Nothing transparent here and as Isumbras points out on this site…remember all this when you go to put your X on the voting card next week. These people need to learn a lesson or two. Brilliant explanation of the whole sorry affair, Chris. Just to add that I remember quoting this Council commitment back to HBC councillors and planning officers two years ago, as follows: “We believe that the Council should “uphold a culture of co‑operation, openness, fairness and transparency in all it does, enabling local people to hold us to account and other agencies to work with us.” We said then that we were calling that commitment in, and we believed that they would at least go some way towards doing so. This was just after the first Coffey Report came out on June 4th at SEG’s first meeting with Cllrs Chowney, Hodges, Poole, Palmer, Crawford etc at the Town Hall. All present seemed to agree that the landslip was a disaster and that something had to be done about it. Cllr Chowney then asked me to phone him and asked what we wanted, and I said that at the very least we wanted the source of the landslip to be removed (i.e: hardscaping, terracing, road building) and some trees to be planted to stabilise the land and some attempt to reroute the water flow. This, he suggested, did not seem an unreasonable request. We never saw him again and all action seemed to freeze on the landslip issue, but at least the bunker issue looked hopeful. Now HBC planning have even reneged on their position re that at the recent Appeal Hearing. All along they have just treated any questioners as enemies. At a meeting with Cllr Hodges just before he died John told us that the Council could “not afford it”, but Chris said they could afford to lose tens of thousands of pounds of Hastings’ taxpayers money by using the minor amendment process to save developers the same amount instead. Little Warren Cottage was yet anotehr case in point where exactly the same “mistakes” were made again. This time even more trees were removed to give the new private owners a view. This was to pay for a new visitors’ centre that was not needed and has already run into problems before starting. If the bunker Appeal goes the same way and is won by Rocklands (God Forbid etc), then the people of Hastings will be right to feel that HBC have betrayed them. It will make a mockery of their commitments to co‑operation, openness, fairness and transparency, because they will have resisted any attempt to hold them to account. Excellent article illustrated by great photographs. The abysmal development control, lack of enforcement, and current politically-driven handling of the Rocklands case are described in detail which is validated by photograph evidence. So many questions to ask; why do the council continue to ignore the evidence provided by google maps? Why during the pre-application advice did Development Control advise the applicant to submit 952 as a holiday let? Why was it passed as when the previous almost identical application had been rejected by committee? And, how many members of Hastings Borough Council’s planning department are freemasons? 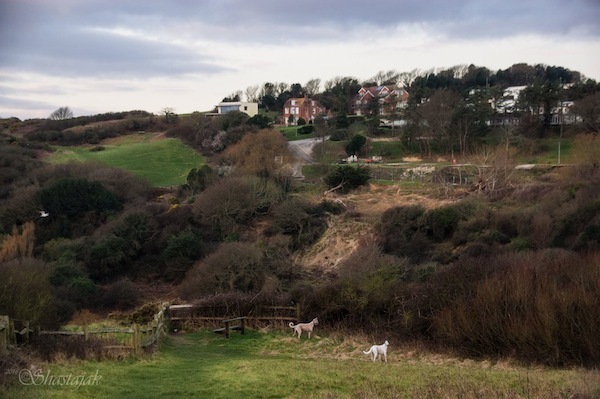 A very clear and informative account of the shameful desecration of Ecclesbourne Glen and The East Hill that Rocklands Caravan Park have perpetrated with the building of of the ‘bunker’ and the ruthless decimation of surrounding trees and shrubs for their own financial gain. What is just as sad is the way HBC have wilfully mismanaged the planning process to such an extent that they lay themselves open to accusations of colluding with the developer to suppress the facts and retain the hideous building. Local elections take place here on May 5th; cognisance of what our Councillors have been or rather have not been doing to protect an area of Hastings Country Park which is a designated an Area of Outstanding Beauty should be forefront in the mind of voters when these Councillors stand for re-election.